The Express Spider is one of the lightest hose-mounted gas stoves available and a perfect alternative to any top-mounted gas stove. 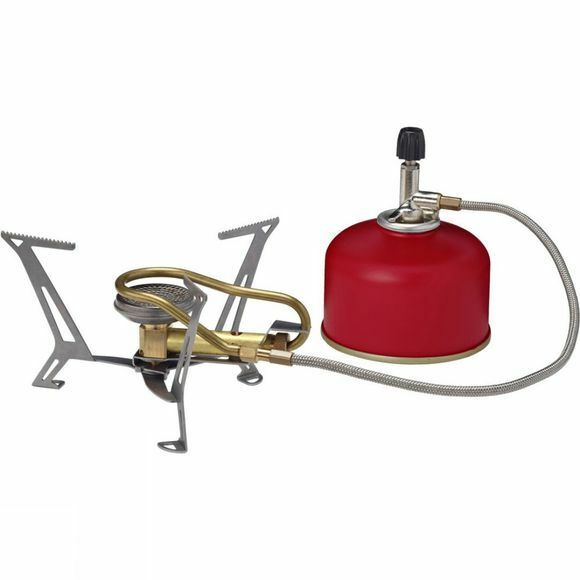 Express Spider uses the same technology as Primus' top-mounted gas stove Express Stove and is extremely sturdy, durable and lightweight. An obvious choice for those who are after a hardwearing and flexible stove. The stove is delivered with a heat reflector and nylon stuff sack. Gas is not included.